Whether it's your finances, career or family, there are all kinds of things you can worry about if you choose. But a lot of people don't really choose to worry, and anxiety creeps up on them like a bad cold or a feeling of fatigue. And the next thing they know full-blown worry sets in, which can affect things like sleep, eating properly or just being able to be happy. According to a study released by Mozy, a company that provides cloud backup services, the workplace is a breeding ground for all kinds of irrational fears. For example, 25% of people constantly worry about sending an inappropriate email to the wrong person by mistake, and 23% are always worried about getting fired, even though they're in good standing with their company. In addition, one out of five people think their boss will tap them on the shoulder one day and say "You stink at your job, get out," and 21% of workers have anxiety about bringing up an inappropriate website by mistake. But what does all this worrying do to our health? There surely has to be some sort of cost, right? Jane Martin, a respiratory therapist and expert on Chronic Obstructive Pulmonary Disease, says there's a definite connection between worrying about things and achieving proper health. "Chronic worry and stress can also lead to physical illness," wrote Martin on the site HealthCentral.com. "Physical responses to stress can involve the health of your heart and blood vessels, the function of your immune system, your breathing patterns, and how your body secretes hormones. "Hormones help regulate various physical functions in your body, such as brain function and nerve impulses," she adds. "But when stress hormones, such as adrenaline and cortisol are secreted in large amounts by excessive worrying and anxiety, they can cause physical reactions." Of course money is a big cause of worry for a lot of people. In fact, researchers found those who worry about finances are twice as likely to have a heart attack as people who don't. The study conducted by AOL and the Associated Press, shows that 27% of folks who are stressed about money said they had digestive problems, versus 8% of the people who didn't worry about finances. And money worriers have 65% more of a chance of suffering muscle tensions and back pains than people who were able to avoid financial stress. Denise Marek, a worry management expert and author of "Calm for Women Who Worry," says worrying doesn't just affect you physically; it can harm just about every facet of your life. "There is no doubt that worry affects our health and relationships, our business and financial lives," she said in a published interview. "Worry can cause you to choke financially, socially, spiritually, professionally and mentally. "Worry can also cause you to store fat. 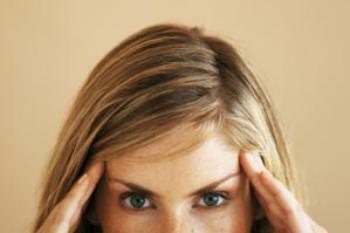 Stress causes an increase in the body's level of cortisol. 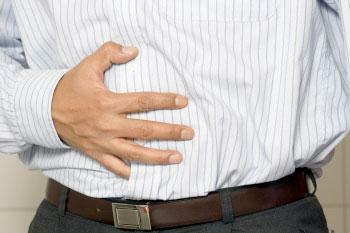 Cortisol is a hormone that can cause your body to store fat in the abdominal area. Excess fat in the belly has been shown to increase a woman's chance of developing breast cancer," said Marek. Here are some of the other things experts say worrying can cause: lack of focus, fast breathing, fatigue, dizziness, headaches or migraines and it can even lower the strength of your immune system. Chad LeJeune, author of "The Worry Trap: How to Free Yourself from Worry & Anxiety Using Acceptance & Commitment Therapy" says the first thing you should do is look at your worries as thoughts. He says by looking at your worries as thoughts, you're less likely to consider them as facts. For example, if you believe you didn't get enough medical checkups throughout your life and you're worrying about keeling over soon, that particular worry is just a thought, not a fact. And once you're able to separate the two it can really help lessen your anxiety. Additionally, there are some quick things you can do to alleviate worry. LeJeune says breathing deeply and allowing your hands and muscles to go limp can help a lot. And he says to keep your mind on the present as much as possible and, when you find yourself worrying about the past or the future, focus on what's in front of you like nature, your family or the positive things going on in your life. However, Marek says some form of worry is okay, as long as what you're worrying about causes you to take action in a positive way. And if your anxiety is just that -- anxiety -- and doesn't lead you to make a correction of some sort, it really doesn't serve any purpose. "Some concerns can serve as prompts to take action," she said. "Worrying about your health might be prompting you to take better care of yourself or to see a doctor. Anxiety about having too much to do might be prompting you to prioritize, take a time-management course or learn how to say 'no.'" Marek says when you're feeling worried, the key is to stop and ask yourself: Is this worry prompting me to take action? "If it is," she says, "then take action. If it's not, if you're worrying about something you can do nothing about, let it go. "That's what being a non-worrier is all about and that's precisely what I've learned to do in my life. When a worry pops up, I determine whether it's useful or useless," she concludes. Can reducing stress help slow cancer?